The 6th (Inniskilling) Dragoons was stationed at Muttra when the First World War began in August 1914 and would receive orders to mobilize on 24 October 1914. The 6th (Inniskilling) Dragoons left India at Bombay on 19 November on board two ships and arrived at Marseilles on 14 December and disembarked the same day. The Regiment spent the first year of the war serving with the Mhow Cavalry Brigade which was part of the 2nd Indian Cavalry Division. In September 1915, the Mhow Cavalry Brigade was transferred to the 1st Indian Cavalry Division which became the 4th Cavalry Division in November 1916. When the 4th Cavalry Division was broken up in March 1918 the 6th (Inniskilling) Dragoons was transferred to the 7th Cavalry Brigade, 3rd Cavalry Division and served with the formation for the remainder of the war. 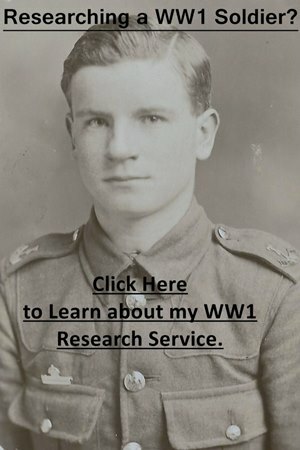 Start by looking at my guides to researching soldiers who served in the British Army during the First World War. The best guides to start with are those concerned with service records and medals. You will come across a lot of military jargon so I would recommend keeping my page on British Army abbreviations and acronyms open. If you’re looking for an officer or other rank who was serving in India in 1911, check the 1911 Delhi Durar Roll (free to download). There are also four war diaries for the 6th Inniskilling Dragoons can be downloaded (see below). Officers: Have a look to see if a service record has survived but not all have. If an officer’s service record has made it to the present-day then it will either be at the National Archives ((I offer a copying service for these records) or if they served past April 1922 then it will still be held by the Ministry of Defence: Ordering a Service Record from the MOD. Officers are recorded by name in the war diaries of the 6th Inniskilling Dragoons which I have included below. If you are looking for promotion dates then my article on the London Gazette and Hart’s Army List (pre-war officers) will help. Newspapers are an important source for researching officers and I have written an article to help you: Researching Soldiers Using Newspapers. Other Ranks: A service record is the key document to try and find but many were destroyed when the warehouse in which they were stored caught fire in the Blitz. If a soldier continued to serve past January 1921, then their service record will still be kept by the Ministry of Defence and you’ll have to order a copy: Ordering a Service Record from the MOD. Even without a service record, you can usually uncover information, especially from medal records if a soldier served outside of Great Britain and Ireland. To research a soldier who served in the 6th Dragoon Guards you’ll need to search the records on both Ancestry and FindmyPast. Each site has different record sets which need to be searched. Both offer a free trial and they are usually available to use at local libraries if you’re in Britain. Trooper George Gardner 6th Inniskilling Dragoons who died of wounds on 17 June 1917. 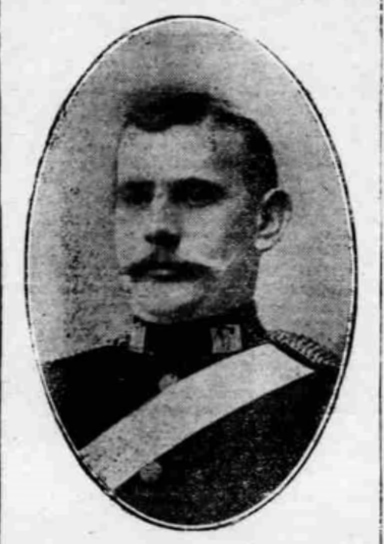 This portrait of George appeared in the Gloucester Journal and I would recommend reading my page on Researching Soldiers Using Newspapers if you’re looking for a photograph of a casualty. The image quality is poor because the scan is taken from a microfilm of the original paper. There are four war diaries for the 6th Dragoons and all have been digitized by the National Archives. To download the war diaries for a small fee click on the blue links below. I have transcribed an appendix from the Service Squadron war diary below. Notes: An average war diary at best when compared to the war diaries of other British cavalry regiments for this period. Notes: An average war diary which contains a variety of appendices. Notes: A poor war diary for the period it covers with brief entries with very little detail. Unfortunately, there was no regimental history produced for the regiment covering its service during the First World War. A good book to provide the context of the Regiment’s service on the Western Front during the war is David Kenyon’s Horsemen in No Man’s Land: British Cavalry and Trench Warfare 1914-1918. The advance to the German wire and the occupation of the trench. The holding and defence of trench. 1. The Squadron advanced at a gallop on the left rear flank of the 2nd Lancers from Peiziere to about X.22.c.central (sheet 57.c.1/400000), a distance of about 3 kilometres – the last half of which was over a fire-swept zone. The mounted advance terminated at the German wire at obstacle distance from a fire trench held by the 418th [?] Regiment, who left hurriedly on their wire being crossed. Here the Squadron dismounted for action, crossed the wire and gained the shelter of the trench just vacated by the enemy and already entered by the 2nd Lancers. 2. The trench occupied ran north and south, the direction of advance having been N.N.E. (ENE?). The Squadron held the northern and of this trench, which terminated in a sap-had commanded on three sides by a ridge under 100 yards distant; this ridge overlooked Villers-Guislain to the north, and enfiladed the trench to the south. To hold this, the post nearest the enemy, a post was pushed out on the ridge, and a machine gun: all the men and the Machine Gun Officer soon became casualties, the machine gun had to be withdrawn, and it was not possible after this to leave the sap-head. Owing to lack of space, this sap-head could only be held by 2 machine guns, 2 Hotchkiss guns, and a few men. The enemy soon crawled up and enveloped this flank from three sides. Fortunately, several boxes of ammunition and bombs were found in the trench – formerly a British one, and the machine guns with a party filling belts, were able to check the repeated attempts of the enemy to crawl through the scrub and rush the sap-head. Unsuccessful in this, the enemy bomber his way down a communication trench from the north-west leading into the main trench 50 yards south of the saphead. A counter-bombing party was organized, bombs were fortunately at hand, also many German grenades which were experimented with and timed. This party was gallantly led by a Corporal, who killed the leading German; bombs were at this time thrown with such good effect that one German was blown off his feet above the level of the parapet, and the remainder so hurriedly withdraw that they left the trench, came into the open under direct fire of the sap-head machine gun under which they were shot down. The enemy did not attempt to advance down this communication trench, but pressed their attack from the ridge. Had the enemy effected an entry into the sap-head, the whole length of the trench, untraversed, would have become untenable, and five Squadrons would have been driven from its shelter into the open. It was thanks to the machine guns, the magnificent way they were served, and the supply of ammunition found, that the position was held for 12 hours. Reinforcement, communication and removal of casualties was rendered more difficult owing to the trench being filled with the horses (some wounded)of about 2 Squadrons of 2nd Lancers and a few of our leading troop. In order to carry out the withdrawal after dark, in agreement with Major Knowles D.S.O., Commanding 2nd Lancers, the Squadron held the sap-head during the withdrawal of that Regiment. It was not found possible to withdraw under cover of the 2nd Lancers, owing to the necessity of their horses being led out in single file to the southern limit of the trench necessitating one man to each horse. Very lights were fired frequently from the sap-head and successive covering positions taken up, until the wounded and horses were withdrawn, when the Squadron withdrew, arriving back at Epehy at about 1 am. I have brought to the notice of the Officer Commanding Inniskilling Dragoons the names of those who were conspicuous amongst all who showed devotion to duty, and have rendered a separate report to the Officer Commanding No.11 Squadron Machine Gun Corps (Cavalry). Signed. A. R. Moncrieff. Captain. Commanding C Squadron. The Inniskilling Dragoons. 4/12/17.